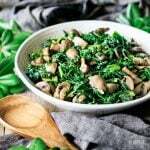 Sautéed kale with mushrooms is a healthy recipe for families looking for an easy side dish. It’s low carb, clean eating, and tastes amazing. 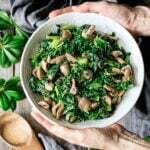 Reap the great health benefits of kale tonight by filling up a bowl with orzo pasta and topping it with this simple kale recipe. 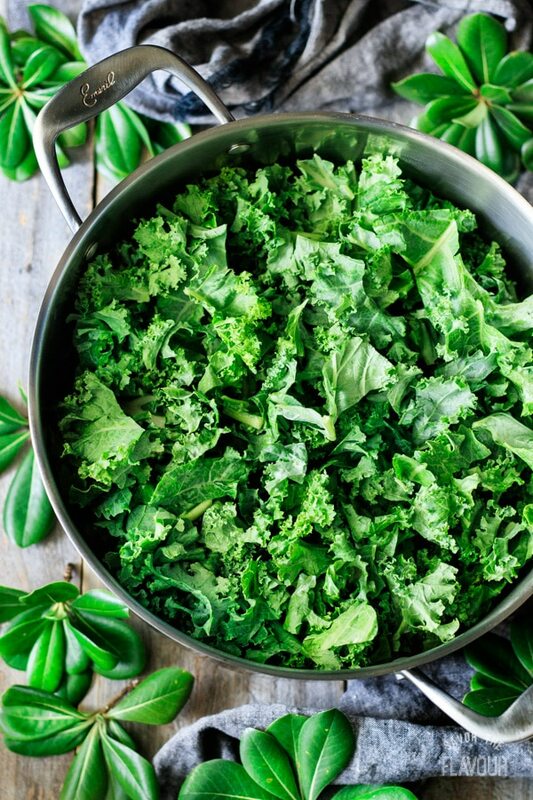 Kale is a superfood, and we know it’s good for us, but do we eat it? Whether you eat it raw or cooked, it’s a wise choice to add kale to your diet. How do you cut kale? Stack 3 leaves on top of each other and line up the stems. Fold the leaves in half with the top of the leaves facing in. Cut the stems out and discard. Re-stack the leaves, then roll up them up. Prep all the ingredients. Quarter the mushrooms, mince the garlic, and measure out the liquids (oil, chicken stock, and vinegar). Sauté the garlic in the oil until fragrant. Slowly add the kale a little at a time, and toss it with the oil and garlic. Stir in the chicken stock, then cover and cook for 5 minutes. 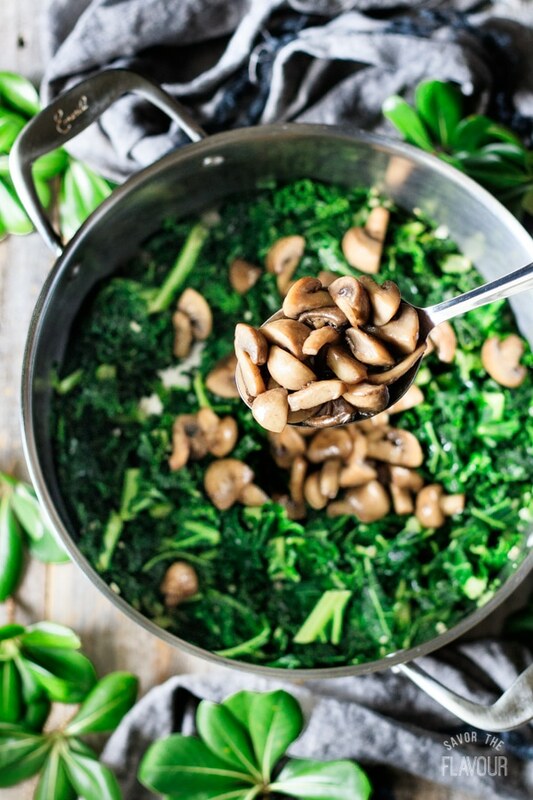 While the kale is cooking, melt the butter in a large saucepan and sauté the mushrooms until they are golden brown and the liquid has evaporated. 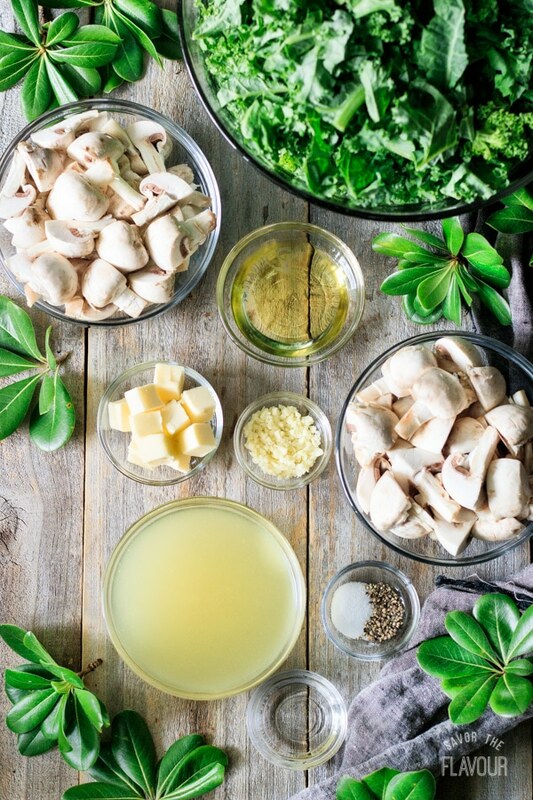 Uncover the kale. Cook for one minute, or until the stock has been evaporated. 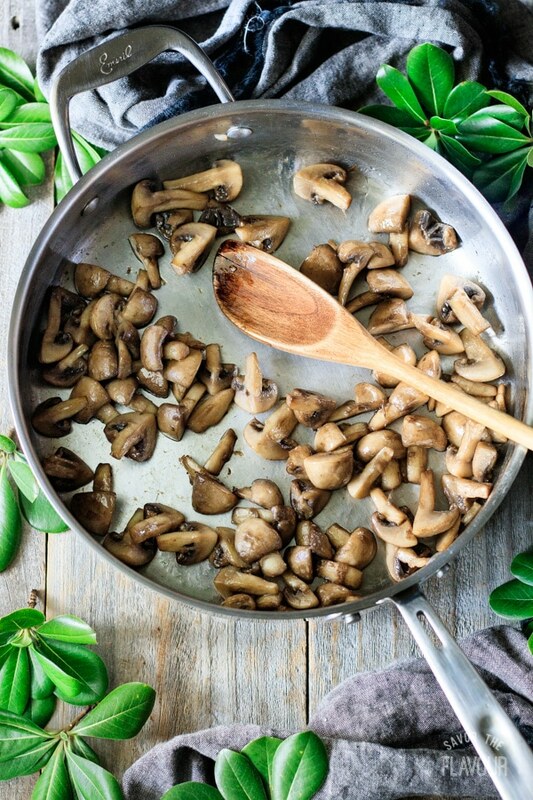 Remove from the heat and add the mushrooms. Add the vinegar, salt, and black pepper. Stir until well mixed. Transfer to a serving bowl and serve hot as a side dish or over pasta for a quick weeknight meal. 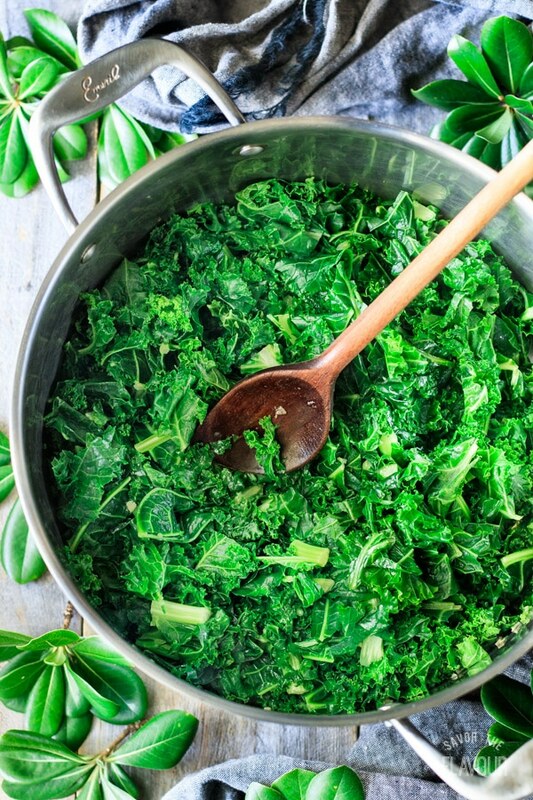 Save time by using kale that is pre-cut and pre-washed. Want it spicy? Add red pepper flakes with the garlic. Try other add-ins such as bacon, Parmesan cheese, or onions. Want flexibility? Swap out different kinds of vinegars or oils. 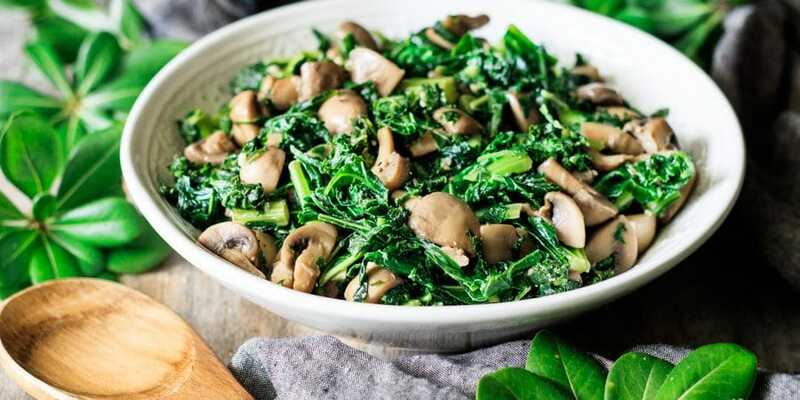 Sautéed kale with mushrooms is a simple side dish that can be ready in a flash. 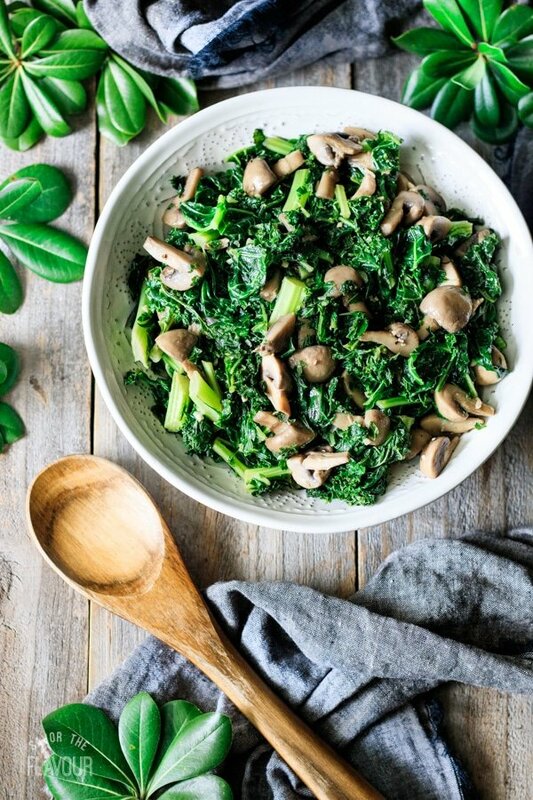 If you are trying to add more kale to your diet, I encourage you to try this tonight. 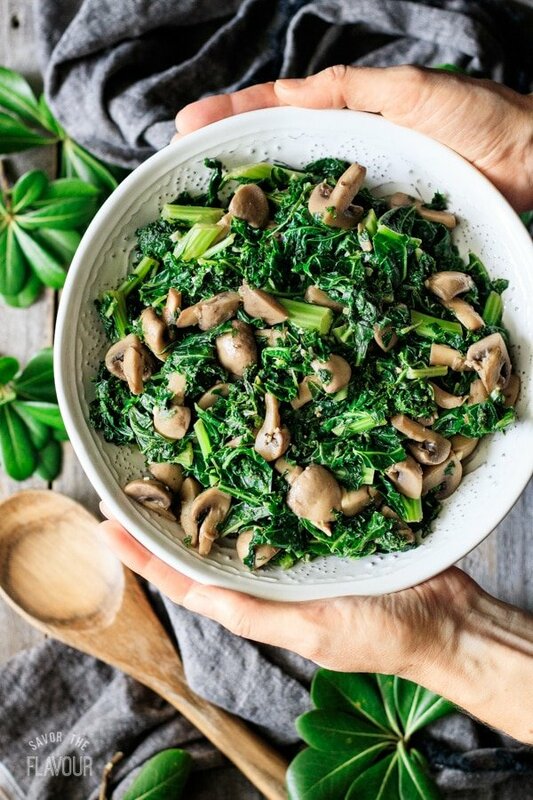 It just might be your favorite way to eat cooked kale! 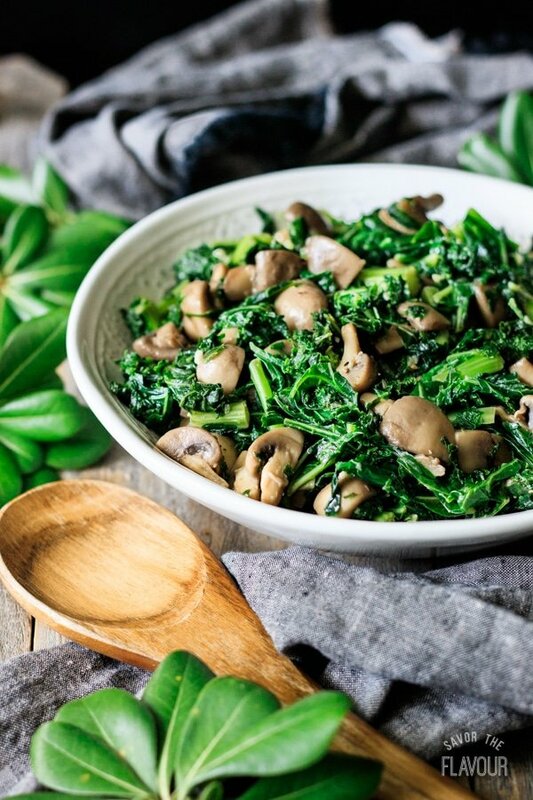 You’ll love these other simple veggie side dishes for a family dinner. 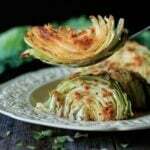 Roasted Cabbage Wedges with Lemon Garlic Butter: these oven-roasted cabbage wedges are so tasty, you’ll want seconds! Balsamic Roasted Carrots: a very tasty and easy way to cook carrots for a special meal. 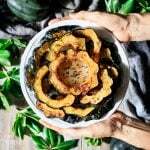 How to Cook Acorn Squash: this healthy squash tastes amazing when roasted with garlic butter. Heat the olive oil in a large Dutch oven, then sauté the minced garlic until fragrant, about a minute. 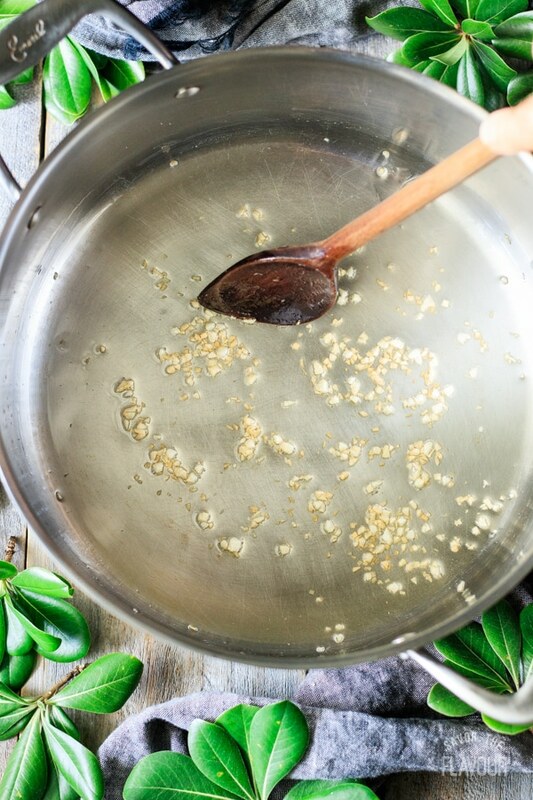 While the olive oil is heating up in the Dutch oven, melt the butter in a large frying pan. Add the mushrooms and cook over medium high heat until the mushrooms are golden brown and all the liquid has evaporated. 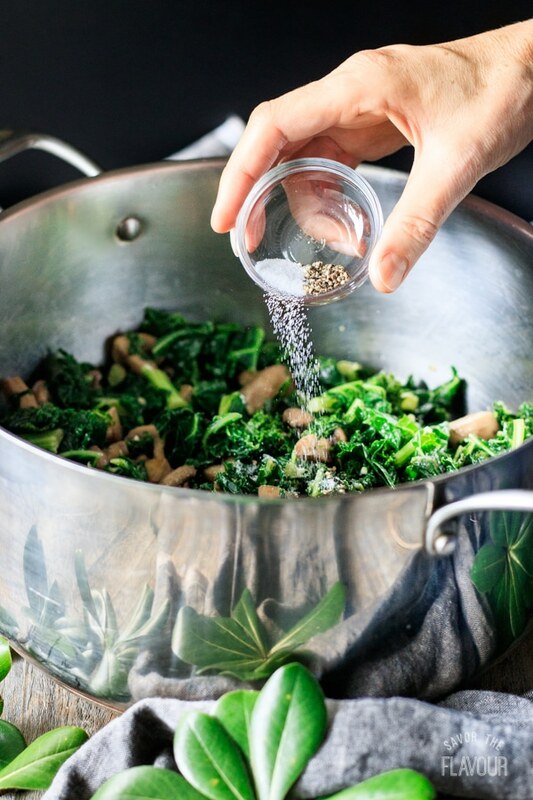 Once the garlic is done, stir in the kale a little at a time. Pour in the chicken stock, cover, and cook for 5 minutes over medium high heat. The kale will significantly reduce in volume and will turn a bright green. Uncover the pot and cook for another minute, or until the chicken stock has evaporated. Remove from the heat and season with salt, black pepper, and white wine vinegar. Add the mushrooms and toss until well combined. Serve as a side dish or mixed in with orzo pasta.